Over the past few months, we’ve been discussing the various skills needed for effectively operating in a world characterized by information and accelerating change, and I’ve been assembling these ideas into a framework for a new thought architecture. This post will be the first in a 12 part series, and draws its influences from the fields of Futures Studies, Complexity Science, Systems Theory, Cybernetics, Social Network Analysis, Knowledge Management, common sense, and exploration into my own thinking. All of the skills I’ll be covering are already in practice in our brains – it’s just a matter of becoming more aware of them so we can sharpen them. I imagine them all happening concurrently and all reinforcing each other, creating constant feedback loops that raise consciousness and build intelligence. Though I’ll be identifying 12 areas, they’re mostly components of each other, so we’ll see how we might expand or refine these as the series rolls out. The ability to spot existing or emerging patterns is one of the most (if not the most) critical skills in intelligent decision making, though we’re mostly unaware that we do it all the time. Combining past experience, intuition, and common sense, the ability to recognize patterns gives us the ability to predict what will happen next with some degree of accuracy. The better able we are to predict what will happen, the more intelligent we become. So, you might say that the purpose of intelligence is prediction. Imagine you’re driving home from work, and you have several different routes available to you. You may know that Route A will invariably get you stuck behind that school bus, Route B will put you in dead-stop traffic with the commuters just getting off the train, and Route C is furthest miles-wise, but will get you home fastest because of better traffic flow. You probably don’t think these options through each time you go home, because it would be a waste of mental energy. You’ve already gone through the discovery process to know that Route C is best at a particular time of day on particular days of the week. Again, it wouldn’t make sense for you to have to think about it each time. Instead, you’re probably ambiently aware of your location, that you make a right where that big tree is, a left at the pizza shop, and another right once you pass Bob’s house. Your brain is recognizing patterns in your environment. In the same way that pattern recognition works in the driving example, it’s working every time your senses take in information. Whether it’s something you see, hear, taste, touch, or smell, at the same moment as you are having the current experience, your brain is comparing it to things you already know, and seeing how it fits. If it has a reference point, your brain files it away as a correlation or similarity or tangent; if it’s a novelty, your brain is challenged and will either construct a new model for understanding and processing this information, save it for later consideration, or simply reject and discard the information. The point is, there are strong and weak signals all around us, patterns, which indicate a change has happened, is happening, or has the potential to happen. Though there will still be wild cards and black swans – low-probability, high-impact events – the ability to anticipate and adapt to changing conditions in the environment are hallmarks of intelligent people and organizations. Though some research suggests that over 99.99% of the processing in the brain happens at a subconscious level, and is therefore beyond our “control,” I’ve found that simply being aware of my thought process has improved my ability to recognize patterns. For me, mindfulness and metacognition (more skills in this series) have been powerful tools in helping to expand my cognitive capacity. So, I’ve described how I see pattern recognition operating at an individual level, but I’m even more interested in knowing how this applies to building collective intelligence. We’ve been exploring different ways of encouraging collaboration and mind-expansion within a networked environment, like with our Junto idea, and I’m curious to hear your thoughts on how identifying patterns might play a more significant role in the projects and initiatives we’re building together. For instance, in your example, there are the three routes, A B and C. My particular wiring is going to be based on my experience, and that experience will be weighted heavily on initial conditions. Let’s use a ‘net intelligence example, then. I decide to follow a link to Venessa’s post. I come in, and find a rather long essay, followed by an insanely long string of comments. My inclination might be to abandon hope of digesting everything, and I might not come back. (analogous to the congestion issue, like Route B.) Another person comes by, finding an earlier link, and sees a clean and pristine comment form, ready to be littered with comments. One will be more likely to return, one will not — because their experiences are different. The patterns are different, and have differing meaning. The context is different, because of what we choose as our optimum. Do we optimize distance? Time behind the wheel? Fuel cost? Lowest stress? In that way, the same pattern might be read in different contexts. I am *very* glad you posted this, though… because it raises one other issue, that of scotoma. Pattern recognition becomes a more useful exercise when you think about the process, because it eliminates the arbitrary boundaries we erect around the patterns. “Scotoma” is just a fancy way to think about the contexts of our pattern recognition – and it explains why some people see warning signs while others see nothing but noise. haha, don’t abandon hope! i do like your point about context, that is most definitely the world i think we live in. EVERYTHING is contextual. i think we actually have created a big problem generally with constructing the idea of Self as something that is completely independent of the influence of our surroundings – hence ego. everything is attached to everything, though some in incredibly subtle ways. if we would allow ourselves to imagine that, then maybe we would have an easier time seeing each other’s perspective, knowing that each is just a part of the “real” reality, that all points are worth considering and trying to understand. actually, that makes me want to write another post – Individuality vs. Agency. that’s one of the main arguments i hear when we talk about the value of interdependence, that something that equates losing individuality. well what is individuality exactly? what is it that people think they will lose by understanding that who they are and what they think about is very much in relation to others? i have found for myself that Interdependence actually increases my Agency – as i have developed more relationships and more trust, people have opened the door to their resources to me, giving me more freedom to do things. how is this the loss of individuality? if anything, i feel i am becoming more fully human. 36 years balancing hyper-vigilance along with what is now called Aspergers I can tell you that Subconscious Pattern Recognition is responsible for the Extra Sensory Perception phenomenon. Dealing with overloaded hyperactive senses along with an undying want to understand my universe I discovered the only difference between any two beings is perception. When you are able to see the world thru multiple perspectives at a time it is both maddening and freeing. Once you understand it however it you are able to disregard and prioritize multiple (hundreds) of perspectives simultaneously within a single thought or decision. That seemingly freed up a lot of time for my brain. Suddenly I was able to recall the slightest detail when a pattern completed. I will give you an example. The most recent was two nights ago. Watching American Idol with my wife, a performer was singing her song when suddenly I knew she was going to fall. When that thought hit me a queried my brain for a reason for that prediction. I suddenly recalled that she was performing with her father playing guitar on stage, I knew she was a daddys girl already so I was able to sense her extra nervousness. Then I remember her pre performance interview where she shifted her weight and looked uncomfortable, then the song she was doing was a fast tempo number and I knew she was taking risks with it, knowing she was most likely to be eliminated, then it was when she went down three simple fights of stairs in very awkward shoes, she lost her confidence. It was that that i sensed, She had attempted to regain her composure as she went up the steps but she slipped and fell. A silly coincidence any one could say. Yet that happens to me three to four times a week. If anyone wants to be more aware of the world around them simply stop. be still and start by being aware of an arbitrary body part… your knee. Simply be aware of it. then be aware of your clothing touching it. The learn to be aware of the outer layer of your clothing, then the space immediately around it. soon you will sense a whole room when you wish to. Everyone has known the experience of feeling someone suddenly behind them without any apparent reason for knowing. Yet I can tell you its both sound and air pressure, along with scent, sound and sight that tells us. Your subconscious takes in all the equations and provides the mathematical solution. If you want to understand it then be patient and query your subconscious to “Show its work”. If anyone can provide anymore information on this topic I would be very grateful. Or if I may be able to help anyone in anyway I would be happy to try. Im always interested in knowing the world around me and trying to find out if anyone else can hear the filament in a light bulb vibrate!? Great fun at parties! I agree. Pattern recognition, sense-making, and other such traits can be chalked up to the law of conservation of energy. We are also conditioned to have selective absorption, and selective retention, for that very same reason. It is obviously an adaptive process as well. However, applying these skills to develop real world solutions is a huge challenge (for me, at least)! For collective intelligence building, IMO, continuous updates, and a repository of key takeaways from each project/session will help in empowering diversity, more participation, and ultimately lead to a more informed/refined outcome. i like your thoughts on collective intelligence building. the way the ‘design thinking’ process is described fits with this. you want to have a healthy free-form generative ideation phase, but it needs to be tempered with some practicality about constraints, and keeping everyone informed along the way is crucial. Congratulations Vanessa, i´m happy to hear a fresh voice with a new holistic focus from here to the future. Thanks for sending me this new and interesting post. Welcome back from your reflection week Venessa. Just came online for a brief moment to check things out. Will be back to posting next week. Have been thinking on THE platform, will share some interesting insights when I get back. great, i am working on a draft of where we’re at and next steps…..
Here’s a scratchpad of what may be related ideas on patterns in response, potentially useful for an EBD “metapattern wiki.” Many of the thoughts below are based on ideas from Tom Munnecke, Christopher Alexander, Alan Kay, WE Deming, John Boyd, Don Beck, Gloria Gery, and Gerhard Altshuler (Russian creator of TRIZ). The “check-plan-do” verbs of Deming seem to nest in an uncanny way with the “report-methods-instructions” information categories of Alan Kay. I believe that the Check (reports), Plan (methods), Do (instructions) stages underpin all individual or socnet’s interactions. One can zoom in on any stage, and if desired deconstruct it into similar check-plan-do subloops. If anyone is interested, I can share an interview guide based on this pattern. It is an accordion-like structure (sensitive to the interviewee’s time) that is design to get subject matter experts regardless of domain to share their insights online. I’d be glad to upload it the EBD wiki for comments/improvements. If this fractal pattern, or something similar, does underpin individual/group learning and engagement, it may provide a workflow for mapping socnet conversations and ensuing actions. It could also lead to creation of user profiles that map to trans-project strengths, skills and relationships for one or more of the fractal elements. Summary: Each of our selves can be seen our balance of civic (community), business (market), & personal (household) interests. Our individuality or “soul”, I think, comes down to the themes and rules we choose to balance our standing offers and claims for each frame. Our rulesets/code of living hinge on whether one or more of our frames of reference is operating at survival level, comfort level, or generative level (to simplify Maslow) of access to resources. Resource types can be services, funds, or physical places/tools/goods. In keeping with Christopher Alexander’s insights, I believe sentient beings thrive in social and physical spaces that enable “extended selves” to emerge. As others earn our trust by helping us to learn and adapt (reaching higher Maslow levels for the frames of reference that make us up), we expand our circle of caring, and begin check-plan-do cycles to spot learning and action opportunities for the trustnet – our expanded self. The civic, business, and/or “personal” interests of the collective can move to the foreground as long as big threats to the Maslow states of individual members stay at bay. Hope some of these pattern ideas will be useful in the upcoming conversations and spontaneous orders taking form here. An interview guide is an accordion-like structure (sensitive to the interviewee’s time) that is designed to get subject matter experts regardless of domain to share their insights online. 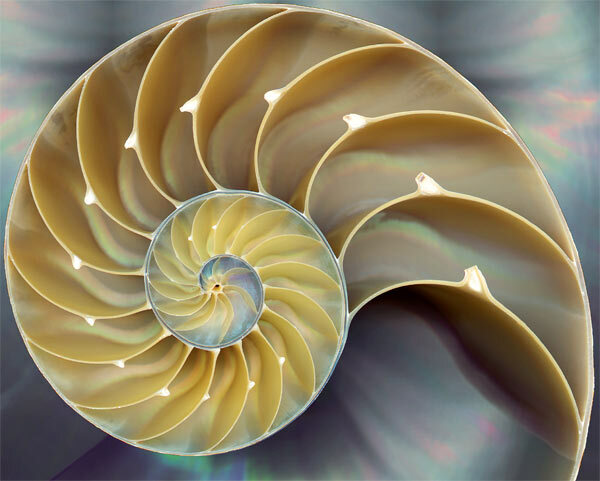 In whatever forms this evolution may take, we may see intelligent participants — human, artificial, or hybrid– projecting a deep fractal-like narrative pattern into their environment, and continuing to evolve. If the universe is wired in a benevolent way, consilient memes and lumines propagated through the interactions of these intelligent forms will lead to non-zero sum outcomes for all of our descendents. This having been said, we can say *all six* nodes have individual and distributive subjects and objects that must be demonstrated to harmonise with or adequately reproduce across the fractal or construct in time and space. This is the true object of vision and does not differ from a radical consciousness of the fact that each One is Another’s One. This applies to individuals & each of the so-called “Cycles” Numbered Above. These are hacks and need more hacking! mark, these are all great insights. thank you for always taking the time to put in the depth you do. your thoughts about the narrative fractal are aligned with mine about The Pattern, that iterative process that is always in play around and within us. it is helping me crystallize the idea for a fluid concept map that would accompany junto chats & projects, where people/ideas would able to be arranged within the stages of that pattern. more on that soon. and part 3 is aligned with a reputation/trust system that would emerge from it…. these are all parts that i see growing together, with the other component being the currency system. it all feels like it has a flow and though i can’t possibly know the details of how each component will be set up, it seems to make sense that each of these processes are nested systems that are dependent on each other to exist, with the foundation being a transparency between us in thought. Great comment. I would love to see your interview guide that you offered to share. I really like that you chose to start with pattern recognition. Few things bring as much joy to me as plugging away at something, making no sense of it, until with a flash the whole picture drops into place. I hope other readers might know of some research into ways adults can reliably improve their pattern recognition. Looking forward to discussing the rest of these skills! i think presence has a lot to do with it. getting out of the past and future and just being aware of one’s surroundings. it’s all always there, we just aren’t paying attention. It’s worth noting the important differences between models and patterns. Models are theories, formulas, computer programs and other formalism, or naive models we create ourselves. Models are reductionist and require intelligence and intuition to create and use. They provide economical ways to solve problems that have been solved before by ourselves, or by others that created the models we learn in textbooks and in school. Models are used in logic based, conscious reasoning processes that take seconds to years. Model use is expected to be reliable and trustworthy and often is, provided input data is correct. Models are useful for simple problems, such as problems that science is capable of handling. Patterns are holistic and self-assemble into understanding at higher levels and require no intelligence or intuition to use. They *provide* the understanding and intuition that model use requires. Patterns operate in the subconscious and form the first several layers of processing close to our sensory inputs. Subconscious pattern-based recognition is instantaneous (well, under 500 ms, says Libet). Patterns can be used for complex problems, such as problems in our everyday lives that science is overwhelmed at – in other words, in Bizarre Problem Domains such as those discussed on my site. Pattern use in Bizarre Domains is fallible but it often works well enough, even when given incomplete or misleading input data. Pattern use may look like it would be more computationally expensive than model application but this is true only if you discount the fact that model use also requires the underlying recognition. Model use requires *someone* to do the expensive problem reduction; this is cheap only for repeatable problems, which is when computer programs work well. The rule is: Simple repeatable problems that you understand where you have good input data: Use models. All others: use patterns, you have no choice. My video “Models vs. Patterns” at http://videos.syntience.com has a much appreciated (“cute”) example of model vs pattern use when aiming a cannon at a castle. For a treatise of Bizarre Systems, see my Artificial Intuition site or watch the Bizarre Systems video. what is your opinion of the relationship between pattern recognition and apophenia? Apophenia is a false positive that’s almost unavoidable in our kind of pattern recognition. We’re so good at recognizing faces that we see a face on mars (as Wikipedia points out) or in a (US) wall outlet (as Scott McCloud points out in Understanding Comics). I have a friends who sees “555” everywhere he looks. So on one hand, it makes it more plausible that our low level perception is in fact pattern based. On the other hand, it shows that our pattern recognition is fallible (which we already knew). The fact that our *logical reasoning* ability recongizes that it’s a false positive (“There’s no reason there should be a face on mars”, “Silly me, that’s just a light socket”, “Seeing 555 more than other numbers is just selective attention/memory”) does not detract from the importance of the *intuition based understanding* that is the result of our pattern matching. We notice when pattern matching fails. We don’t notice when it works millions of times per day. Every object, every kind of movement that you identify in your visual space is recognized in this way. Every sound. Every abstraction – You don’t have to reason to know “that’s a coffee cup, even though I’ve never seen a cup that looks like that before” – is done with pattern matching with higher level patterns (patterns of patterns) and you use *that* millions of times a day. The pattern matching we constantly do is 99.99+ percent (I made that up, but disagree if you dare) correct. Which is the only reason why apophenia is noteworthy. This worked well for the caveman human that needed to recognize the sabertooth tiger and the edible plant. It works just as well for modern humans that drive downtown to get groceries. But modern humans also see patterns in stock market prices, in roulette wheels, and other places where the success of the pattern matching is much lower than it is in recognizing faces. Pattern matching is the best tool for mundane contexts. Use with caution in other more abstract Bizarre Domains such as Economy, Physiology, and Climate. Great comments on apophenia. Indeed, setting our brains pattern “noise filters” so that they pick up most patterns (and quite a bit of noise) makes sense both for the caveman and most of us, but we do need to be aware. Finding one pattern (where animals may be grazing based on tracks, time of years, etc.) may have meant finding a means of survival for generations to come, when seeing noise (reading cracks in the bones on the fire) didn’t necessarily hurt and some of these may have even helped through randomizing choices and forcing decisions. Over time, true patterns we learn to recognize persist, those we don’t (superstitions and many stock picking strategies) usually die off pretty quickly unless they become ingrained in the culture (politics, religion, economic theories, etc). Great new field of neuroeconomics (http://www.amazon.com/Your-Money-Brain-Science-Neuroeconomics/dp/074327668X) (bad title, well-written, well-researched book. Taleb has made a living on the subject) explores our innate biases and helps create strategies to insulate ourselves from them. Pattern recognition is an important feature of our brains. We are able to match patterns by similarities, of the whole or of a detail. We can perform partial or full matches. We make mistakes in matching, and from these mistakes creativity sparks. Association is a particular form of pattern matching. We rely on association for remembering, for decoding, for understanding. We are able to detect and identify unknown patterns via temporal or spatial, repetition, similarities, symmetries, and our brain has very sophisticated functional structures to identify these features from our sensory organs, and from our mnemonic contents. Along with this incredible set of tools suited for pattern detection, we also have the conceptualization capacity, the skill that allows us to label and give names, associating simple symbols to complex entities (words identifying things in language, for example), and the abstraction potential. We eat/see/perceive reality and digest it to symbols, mnestic records, knowledge. In thinking we process symbols and connect/rearrange them, using our background experience, memories and feelings. In creating, we give birth to new symbols. We digest, produce and share symbol chains: meanings. essentially the whole of humanity – past, present, and future – is the Grand Narrative. our symbols and the stories we tell each other and ourselves form our reality. it’s true because we say it is. in some cases though, i wonder, are they patterns that aren’t really there, or are they just patterns that have not been agreed upon by a critical mass of people? Robin Hanson talks a lot about how we seem to have evolved a blindness to many patterns in our social behavior, specifically status signalling. I would add ways that we express our innate aggression and frustrations, often would not work if we had conscious awareness of our deeper motivations. Each culture has its own structural biases that require most individuals within it do not awaken to the patterns they give expression to daily. I think this explains part of why shamans in traditional cultures live on the outskirts of their tribe, and why many beginning entheogenic explorers have trouble integrating their experiences while maintaining culturally-mandated roles. Then, we have groups who are aware of deep patterns within society and manipulate them for in-group benefit. If the greater culture woke up to these patterns, the influence would disappear. Douglas Rushkoff’s The Persuaders does a great job touching the surface of this. Social networking is allowing our methaphors to switch more toward neur0methaphors. Because of the era we’re leaving, the computer era, so to speak, we have been spending too much time on the ideas of processing when it’s sensory input, recognition, feedback and learning that lead to the sense-making you describe. As an organization, it’s key to look at the available each of these (input, recognition, feedback, learning) can be tuned to the overall goals of the organization and be optimized (within the limits of the four quadrants Taleb describes). I’m curious if anyone’s used MSFT’s Pivot (http://www.ted.com/talks/gary_flake_is_pivot_a_turning_point_for_web_exploration.html)? I posted (http://leonardkish.posterous.com/pivot-looks-a-looks-like-an-extension-of-huma) about how certain elements of pivot remind me of how we all relate information in our minds, and this makes it an extremely powerful tool. The best tools will be those that seem like an extension of thinking along with powerful analysis tools (the processing that we can’t do) that can help us determine (statistically) if the patterns we’re seeing are valid, essentially creating new layers of powerful abstractions. Now take that something to social tools, and you’ve got a great way of visualizing connections and patterns with organizations and between organizations. These new layers of abstraction (metalayers) are the key to generating value by making connections that were previously invisible in order to accomplish more. i saw that video, it looks very exciting. i agree about the tools… you shouldn’t have to watch an hour long video to know how to use a piece of software (i.e. google wave). i want it intuitive. i want it to work the way i think, not that i have to change the way i think in order for the tool to work. my relationship to the web has changed a lot in the last 6 months. i’ve never been huge on consuming media, but even less so now. when i’m online, i’m either building relationships with people or building ideas with them. i find this to be extremely gratifying as a human, and it’s making me wonder about the true “value” of entertainment. (an interesting read on this is The Culture Industry by Adorno). but i wonder, do we *actually* want to be entertained? or is entertainment a substitution that distracts us from thinking about the fact that we’re not creating? creation is fulfillment to me. sharing in someone else’s creation is fulfilling. but consuming mass produced entertainment does not leave me fulfilled, because it does not inspire me, because it does not seem to have been created from a place of inspiration. it just doesn’t resonate. i find life is much more fulfilling when i surround myself with beautifully created and inspired things and people. There is usually a thread of discovery (not necessarily creation) in all entertainment. When you are creating, perhaps you are discovering other things that what most people seek in entertainment? Is discovering patterns a type of creation? Often, it is. Certainly there’s a continuum from discovery to creation. Not sure where I’d draw the line. I consume a lot of content, including this blog, but I’m not sure I’d call it entertainment (certainly not lol kittens! ), it’s curiosity and discovery. Interesting how we each have available a worldwide networked niche that can now be discovered. Gives the impression of a sort of development (as in biological/neural development) taking place on a higher scale. The pivot example seems to give a glimpse of how that development is happening, how it’s all starting to connect. I do see a value in entertainment that brings you into a flow of discovery, especially of the testing and growth of admirable qualities of spirit. At a young age, books such as The Hobbit and the Chronicles of Narnia gave me the first sense of epic adventure (beyond the realms of my tricycle). It was there that I had the first sense of flow in communing with others’ journeys of discovery, and a sense of sharing in transcendent qualities of spirit (lumines) that I think evolution somehow works to spread, much as it does memes and genes. In sum, entertainment that is created for generous ends can be invaluable in shaping characters that can confidently start journeys of discovery and co-creation. Certainly Mark! I think that we can learn many lessons much more effectively through narrative structures. Phil Farber believes that narratives activate our mirror neurons, and so any engaging narrative media we consumes actually lays down foundations for behavior in ourselves. Even if the mirror neuron theory doesn’t hold up (as it’s highly contested), for myself, the sense of identification and emotional involvement runs deep. when i say mass produced i mean mass media. i guess i mean…. there are levels of entertainment…. being amused is not the same as being inspired. the trip i take through imagination land when reading chronicles of narnia is not duplicated when watching Bridezillas. i want to go to narnia. or can we build it here? Yes, and maybe soon… There’s a remarkable talk on creation of new species as kids remix DNA in open source DIY labs. Andrew Hessel’s “Internet of Living Things” is well worth a look, especially at 16:45 and 25:27 http://j.mp/donL6c . It may be vital at this threshold for socnets and new learning systems work to spread consilient (transspecies) qualities of spirit, so more Narnias and fewer Mordors happen in the future. Early ideas on opportunities for this are at http://j.mp/a2CNXG and http://j.mp/985c1I . You have a great a ability to explain complex topics in simple terms and it’s great that in your post you mention that ‘simply being aware of my thought process has improved my ability to recognize patterns’ because most people are not even aware of how they think. It’s the human problem of being in automatic with the same mental model they’ve always carried around with them. I think a key question is: How do we make people aware of how they think so that they can improve their ability to spot patterns? In my area of focus ‘innovation/strategy’ this is a fundamental because most people are not apt at associating which is the ability to synthesize patterns and come up with something new. I’m very interested in your area of focus and I look forward to the rest of the series. i struggle with all of these, and i don’t know that a lifetime of practice will make me an expert. re #4: i would often prefer to just discard information that seems to have no place in my current mental model. but i integrate it instead. it doesn’t mean i agree with it, i just add it to the realm of possibilities or interpretations. BUT, i am aware of these things. at this point, i pretty much assume i know nothing, because the more i learn, the more i see how much there still is to learn. (yes, i know i am not the first to make that statement). but we have such incomplete information that it’s actually exhausting to think you’re so smart… because you end up living in fear that someone is going to “show you up” and “discredit” you. well wtf….. i decided to just drop the ego, accept that i know some stuff, but can learn more by being open to other people’s stuff, and maybe we can build some new stuff if we join forces. Pattern recognition is definitely a critical skill to have and one of my favorite topics. In some ways, it is a complex skill – as it builds on innate abilities, experience, memory, spatial visualization ability etc. ; however, everyone can learn to do it to some extent. You make the statement- “..the purpose of intelligence is prediction..”. The way I think about it, more than prediction itself it is the ability to improvise that makes one successful and where pattern recognition kicks in. I used to play quite a bit of chess and to me it is the epitome of a model using pattern recognition. In chess, even the greatest Grandmasters cannot “predict” their opponent’s move all the time. However, because of their pattern recognition abilities they are quick to improvise even when the unexpected happens. In terms of collaboration and collective intelligence, obviously pattern recognition will play a celebrity role. – It can help breakdown complexities. Folks with good pattern recognition abilities can extract the abstract or essence from complex situation. – It can help connect the dots across diverse domains and hence allow us to come up with more innovative solutions. – And conversely, pattern recognition can also open new paths that others can then take and explore. Predictions are predictions even when they fail. A weather prediction for sunshine tomorrow is a prediction today. Tomorrow it may rain. Too bad. Just because your chess opponent surprised you didn’t mean you didn’t predict his next move. Your prediction was just wrong. See http://www.artificial-intuition.com/possible.html for some diagrams that illustrate the difference between logic/reasoning/model based chess programs and intuition/understanding/pattern matching approaches. I was never questioning that. The point I was trying to make was that we both might make a “bad prediction” — but one of us might deal with the consequences better and move forward; and that to me is beauty in mastering the art of pattern recognition. … thoughts on how identifying patterns might play a more significant role in the projects and initiatives we’re building together. To perceive patterns in repeating occurrences I need three to ten observations. Mastering a pattern to acceptably perform it may take many more repetitions. Robert E. Horn researched, among others, an information chunking limit, seven plus minus two. Horn was inspired by Harvard Professor George Miller’s famous work on the Magical Number Seven (plus or minus two) as the number of things easily learned at one time. This matches my own experience exactly, particularly regarding my own characteristic biases. During these periods, I also notice a growing sense of a deeper process in the background, without access to what it might refer to. I’m reminded of a few studies in implicit learning (couldn’t find the references at a glance) where individuals had to make a choice, and unconscious signals, like eye movements, indicated a subset of the individual knew the correct answer, even when not consciously accessible. I suspect that ego-attachment and cultural conditioning can prevent us from accessing these understandings as quickly as the Self has acquired them. I find it very interesting that we often learn to distrust our gut decisions in domains where they appear very effective, yet to follow our instincts when deliberative strategies would result in better actions. – inside-out: sketching a pattern from never encountered situations or material, which that one has to filter out the noise to dig further meaningful information. – outside-in: sketching a pattern from similar situations or material encountered in another context, which means that one must already have made some sensemaking, in order to match two different contexts. Just my two cents here, hoping to trigger further thking..
it supposedly operates mostly subconsciously.. when you see a camry go by and then a civic, you think ‘2 cars’… you know the pattern of what the variations of “car” are. i suppose this applies for everything. your entire environmental sensory experience is an iterative feedback loop… i don’t know if we need to classify it as chicken and egg… it’s a process that is continually being augmented based on information coming in, right? happening simultaneously, or at least as close to simultaneous for our perception that we can just call it simultaneous. the other part we can focus on is raising awareness to sensing new patterns, or patterns that exist that we aren’t currently noticing or paying attention to. just being aware, present, attentive. i like sitting at outdoor cafes and people watching. that in itself is interesting, watching the patterns of interaction between people, how they look at each other, touch each other, avoid bumping into each other, hearing snippets of conversations (many iterations of the same conversation…. just banter of everyday life), and just noticing that. we have built our environment and our social systems, and now have augmented our behavior to fit in them. we also change our behaviors and then design new environments to fit the new behaviors. these to me are the most interesting patterns, because that’s what life seems to boil down to: how we interact with each other and the environment. being more aware of those patterns gives me clues as to how we can start tinkering and redesigning reality. The human brain is built on a fuzzy logic system using neurons. It is superb at recognising patterns, even if they are not there. We are superstitious. Our brain is even built to favour false patterns. My love is not really above all other women, my child not really above all other children. In social interactions this can lead to policy mistakes. In my youth the advertising of betting shops was banned, se we had “Turf accountants” instead. Bowling alleys attracted the wrong sort of crowd, so nine pin bowling was banned, so now we have ten. Unfortunately the knee-jerk reaction over-rides the rational one, it gets there first. How we build social networks that are slow enough for rationality to triumph is going to become an issue. Is the goal for rationality to triumph? Fantastic question, and for me certainly not. Rationality remains wedded to its own presuppositions and always contains blind spots. Each of us contains several mutually contradictory perspectives and to insist on a single rationality weakens us as individuals; how much more it must do so at the level of community! I consider this a core function of transrationality, or what I interpret Ken Wilber’s vision-logic to refer to. A higher level or perspective from which individuals or communities create a space open enough for a flourishing of diversity. Is the goal for rationality to triumph? Good question. In fact it is THE question. Rationality dictates that the human race will become extinct and that our part of the universe will become incapable of supporting life. Rationally it is all futile. A lot of my fellow humans see a pattern “God”. They will keep going while the “Rational” contemplate giving up. Vote irrational? My opinion – pattern recognition is an essential necessary skill but is not sufficient, indeed, alone it can lead to a lot of dysfunctional self-reinforcing behaviour such as prejudice and delusion. Can we only see a pattern when we recognise it and what does this mean? I’m hoping that your later posts will add other essential skills to combine with the power of patter recognition. no, not sufficient alone, hence a 12 part series. and even if it was a 500 part series, it wouldn’t capture all the different ways we can express skills for building intelligence. Thanks for sharing your insights Venessa! A notion surfaced while reading your post. When thinking of the complex connection between intelligence and pattern recognition, the claim “the purpose of intelligence is prediction” could be seen as a too straightforward simplification (charged on genetic determinism). So much multifaceted emergent activity – based on the combination of the two – is done “just for fun” or for the fleeting satisfaction. In various forms of art (music, paintings, literature, drama play etc.) or ludic activities such as children’s play, intelligence and/or pattern recognition don’t straightforwardly serve the need to maximize efficiency or improve performance in any ways. The pleasure that we find in the intellectual play of great artworks, the satisfaction that we find when creating complex patterns out of lines, shapes or words just escapes the confinements of too simplistic (or deterministic) descriptions of the purpose of intelligence and/or pattern recognition. Thanks again for the post, the dialogue continues. “The ONLY ONE thing You Needs for Success is _______”. <—- no it's not. Pattern recognition requires two things to work. Intuition sometimes gets a bad rap because as humans we view things in linear terms. If you are at eye level looking at a row of balls, you can only see the first ball. the problem is intuition is never at eye level, the higher you are conscious the more intuition shows you simultaneously all the connections. Pattern recognition is dimensional and it’s all waves of possiblities until something is observed. Once observed consiousness and intuition reveal every single pattern or pathway that is in sync and alignment for next level connections. In relation to the junto idea and the theme of Venessa’s blogs i believe is to try and simultaneously bring human conversion together in real time that are in sync that reveals a group pattern recogntion. I make the claim in my videos that understanding based on intuition based on pattern recognition does not even require consciousness. Consciousness is the realm of logic based reasoning but that comes *after* the understanding/pattern matching has happened. See http://videos.syntience.com (especially the second video : A new direction in AI research). Otherwise I agree with your post. The amazing power of Pattern Recognition is only seen when you allow patterns of patterns, so that you can automatically climb to high level understanding. I claim this can be done subconsciously, in a matter of milliseconds, as opposed to by using conscious reasoning which takes seconds to years. In order to recognize a pattern you must be conscious of it. I agree that pattern recognition doesn’t require consciousness but pattern recognition fails to exists if your not conscious of it. In your video you said Consciousness is reason and subconsciousness is understanding. When we are “unaware” we are reasoning to understand. When we are “aware” we are understanding the reason. Thus how can we understand the reason if we are not consciously aware of the patterns. Once we are aware of them then they become recognizable. Something only become recognizable if a) it’s repeatable and b) your conscious of what’s being repeated. I don’t understand your conclusion at all, especially after seeing a video. Did you see “Models vs Patterns”? Are you stuck in what I call “The Introspection Fallacy” in “A New Direction in AI Research”? > When we are “unaware” we are reasoning to understand. > When we are “aware” we are understanding the reason. These are your words. I certainly never said anything like that in any videos. Pattern recognition in the brain happens close to the sensory inputs – way, way down below the levels of thought that we are conscious of. The pattern matching continues recursively upward from the sensory inputs for as far as we have patterns of patterns in our experience database. Sometimes (less than 0.01% of the brain’s processing is concerned with this) the patterns are used for reasoning as “something to reason about” – the highest level patterns “anchor” the concepts and symbols that we want to reason about in a way that just specifying “X” and “Y” does not provide when we do formal, abstract logical reasoning on a whiteboard. This emergent reasoning ability is a paint-thin layer on top of our subconscious understanding – it’s a vanishingly small fraction. If we wanted to create decent working animal level intelligence (which would be a great step forward for AI) we could probably completely ignore the reasoning part. Such an animal level intelligence would (IMO) have all the capabilities necessary to learn language. Once we reach this point, it may be hard to *avoid* reasoning from emerging on top of the understanding part but I’m not making bets one way or the other; there may be parts missing in order to make that reasoning layer happen but my intuition is that implementing Boolean Logic isn’t going to help. Perhaps if I discuss a couple specific examples you can pinpoint where the words we use mean different things? If you are driving to work and discussing something with your carpool buddy you will be steering, braking, navigating across town, obeying traffic rules and traffic lights without being conscious of it. You may suddenly (and surprisingly) become consciously aware that you have arrived at work. Your subconscious did all the driving, using your past experience (the database) and intuition (the algorithm). In so doing, your brain did all the pattern matching it needed to determine which things in your visual field were other cars, where the street was, and that a red light was a red light. No consciousness needed. No reasoning needed. You knew what a red light meant by experience. Intuition (low level pattern based understanding) never had to consult the high level (logic based) consciousness. When you become aware of a pattern, then your subconscious has determined that the pattern is so important that you need to pay conscious attention to it. This may be true for a few handfuls of patterns per day, out of millions of patterns that your subconscious has classified as “seen before, mostly harmless, don’t worry about it”. If this description doesn’t help, read Tor Nørretranders: “The User Illusion”. This book should be required reading for anyone who wants to study AI. In fact, it should be read before any other books on AI because the majority of AI books have a strong Reductionist bias that will prejudice any practitioner away from significant parts of the solution space. Some other books that will bolster the innoculation are Robert Pirsig: “Zen and the Art of Motorcycle Maintenance” and Kevin Kelly: “Out of Control”. I can see how my last comment may have been misinterpreted as quoting you from you video, that was not my intent. We both “see it” and “get it” but for those who don’t how would they then participate in this “coktail party” if their not conscious of what’s going on. I think if i may survival of the 21st century is conscious of what’s going on with “pattern recogntion” would be a good way to say it. I am not sure you do need to be conscious of the pattern, I work with knowledge workers who diagnose machinery faults by looking at trend data from sensors (temperatures, pressures and flows etc). It is often the case that they instinctively feel something is wrong, and make a call. They exercise their tacit knowledge. They cannot explain what is wrong, they just have a gut feel that they have seen something like thisin the past, and its associated with a failure. focused intuition? will be very interesting…. I think “Focused Intuition” is a contradiction in terms. Intuition is valuable exactly because it is unfocused. It explores multiple paths *and the interactions between them* in parallel. If I was writing my own 12-part series I’d have “Defocusing” as one of the 12 skills necessary for 21st century survival. Allow multiple input channels on multiple topics to enter your subconscious at once. Follow twitter. SMS your friends. Read your emails without sorting them first. Live your life as a cocktail party, flitting from one conversation to the next. Don’t shorten your attention span, discard it completely. Mix up all the inputs. Start your day with a thirty minute brain-scramble. Let your subconscious intuition discover the connections that exist (and those that don’t, but which you can create and then exploit before anyone else discovers the synergy). And here’s a revelation about a revolution: What our modern communications networks allow us to do is to spread this parallel defocused intuition-based discovery over *many minds*. We no longer have to do this by ourselves, one puny mind at a time. We think partial thoughts and share those before we’ve had the sense to evaluate and censor them. In their half-baked state they may be valuable to someone else as ingredients in whatever they are cooking up. We tweet mystical and mysterious things, deliberately making them opaque in order to tickle as many neurons as possible in our audience members. Something we say may mean something to someone somewhere and they will take it and create something beautiful from it. In writer’s workshops you learn to first shut down your critic and let your madwoman loose. Get it on “paper” first. The critic comes in later. Well, perhaps we should share those madwoman papers before we let the critic touch them. Cheaper and faster interconnect technology allows us to do exactly that. Can we deal with it? Most 20th century people can’t but some of the kids of the MTV generation will be mind-mutants that can. By lowering the quality of our output we increase its usefulness as a basis of creativity. Intelligence is the survival of the fittest thought. Creativity is the survival of the fittest meme. Get your half-baked thoughts and ideas out there and let Darwin sort them out. I think this is the real power of Twitter and of other real time media yet to come. Incidentally, this is a space I’ve been playing in, professionally, for a few years; I have product-oriented ideas that I can’t follow through on. good stuff, i agree with you. we are throwing all our embryonic thoughts into the collective cauldron and seeing what concoction comes out of it. i guess what i was thinking when i said focused intuition is that each of us has our unfocused intuition, but by having an awareness of each other and the process we are engaged in – in sharing these ideas and mixing them together – that is where the focus comes in. focused participation + collective intuition. Agree with the thoughs on “Defocusing”. I think (just my opinion) that we don’t realize our full capabiliity by getting specialized in one thing and the mankind as a whole lose out on what we could have achieved if we had instead gone for “collective expertise”. I feel perfectly at home in today’s social world – to the point that I feel it was made-to-order for me. Why? In the pre-web world, I felt constrained as my conversations were mostly localized and so limited to certain topics & domains. In today’s world, I can fly over any domain – on any piece of conversation – contribute my fair share based on my experience and thinking – and move on to contribute elsewhere. (Yes, I know some will say that way I will never be known as an expert – but then fame is not my motivation). As I had mentioned to Venessa once in our conversation, our brain is a phenomenal piece of work. The only thing holding it back is ‘US’. Let it loose – let it roam — let it synthesize – let it morph inputs; and you will amazed at what can come out of that tiny system. As to pattern recognition – consciousness, unconsciousness, subconsciousness, intuition – they all play a role in it. It is shaped by experience, memorization, inbreeding of ideas and a whole lot of other factors. The conscious part comes into play when you recognize patterns based on the exact parameters that were ‘learned’. However, our mind has an amazing ability to work ‘behind-the-scenes’ and synthesize new patterns based on inputs you provided. And this is where the unconscicous part kicks in. A “trained” mind can subconsciously identify a pattern it never learned or have seen before. Now to intuition – which is a whole topic in itself. But I do want to share a couple of my thoughts on this. One, intuition and pattern recognition are not the same (imho). Intuition is not based on any reasoning or logic. Also, inituition is best suited to handle wild card events and in those cases where there is a gap in knowledge (why would I want to use intuition if I can make a better decision using the facts at hand). Second, one has to realize the limits of intuition. Intuitin does not work well in all environments. In general, it works better when the ecosystem is relatively stable. And one last point on intuition. Intuition is very dependent on you being receptive to intuitive thoughts. This is where meditation, the ability to focus intensely etc. comes into play. Again, without going into detail – one can improve their intuitive capabilities by training to be more “aware” of their surroundings, being “open minded” and at the same time being “intensely focused”. To me, “Intuition” is the algorithm we use for all of our subconscious processing. We humans do not use “the facts at hand” and logical reasoning for almost anything. We jump to conclusions using a simple low-level model-free algorithm based on recursive pattern matching. In my videos and websites I have decided to call this algorithm “Intuition” to match common usage of the term – it is invisible to our conscious thought (introspection) and delivers results that we cannot motivate given the facts. But it also delivers results when we can motivate them by facts. We just create the “logic based” justification after the process has completed. Consider the example of buyer’s remorse which has been well explored in psychological experiments. We base purchase decisions on our gut feel, and then invent reasons for our decision to make us feel better about it. About the “where intuition works” comment: I feel the opposite. Logic fails everywhere except in very simple environments. Intuition works almost everywhere, and it definitely outperforms logic in everyday life. You ask an engineer how thick to make the cables for the next suspension bridge. You ask someone old and wise in matters of the tribe and matters of the heart. An engineer cannot construct a robot that can walk into an unfamiliar house and make a cup of coffee (Wozniak’s Challenge) because the mundane world is “Bizarre” – a technical term that means “too complex to model”. See my video “Bizarre Systems” for more about this. The exceptions – where Logic is used to actually arrive at results – are very few. Have you ever used Franklin’s method of listing pros and cons in a major decision? Did it work? Even in formal reasoning done on a whiteboard there is an amazing amount of intuition based processing going on. How do you know which substitution to try in solving that integral? But this is best discussed elsewhere. While I understand some of the paths you are coming from, I think we definitely have a different view of intuition. I have a varied background – including engineering, cognitive science, and business – and do strongly feel that a few examples in one field cannot be used to generalize the concept of intuition. I agree and understand your “buyer’s remorse” — and in that space it totally makes sense. But I can tell you for a fact (and experience) that when certain multi-million dollar business decisions are made – it is not based on intuition (and rationalized later). Or as a corollary – one of the key reasons why we had the financial meltdown and economic slump is because certain folks in the financial industry made “gut feel” decisions instead of making fact-based decisions. As to “intuition working” – my point is that one can have “intuitions” all the time, but I am willing to bet that the results exponentially reduce in value if the environment is dynamic and in a constant flux. (btw, I also want to separate out the concept of intuition and reflex action). Also, you talk about intuition being algorithmic. I have multiple times caught folks looking at me (and those folks were behind me and out of my peripheral range) in crowded places. I cannot explain this in rules, logic, or algorithms – it is just a “feeling” and most times I have found it to be uncannily right on target. So surely there is more to intuition than a mathematical reasoning model. It is possible that at a deep level we both are talking the same thing, but our interpretation of intuition is molded from different experiences. Yours from a AI/Neural background and mine from a cognitive/Eastern philosophy background. I don’t see intuition as algorithmic, or as a model, or as a subconscious form of pattern recognition. we are clearly using different definitions of “Intuition”. Sometimes I regret choosing that term, but I felt “Artificial Intuition” was more memorable and more useful in marketing the idea than “subconscious model-free pattern-based recognition and understanding using a database of historical experience”. But I believe that is what is going on even in humans, all the time. I am advocating “Holistic AI” and “Intuition based Understanding” in sharp contrast to all Reductionist Hacks that the AI research community has been using and advocating for 60 years. On the other hand, I have to draw a pretty sharp border between my ideas and the woo-woo holism of Crystals and Aromatherapy. To me, “Intuition” is a technical concept and it is not mystical in any way. This is about as hard a sell as “Holistic AI”. But in my mind (and in the minds of many people following my ideas and similar ideas proposed by many others) the distinctions are real. I urge people to pay attention to the beginning of the video “A new direction in AI research” where I discuss the Domain of the Mundane, where AI is supposed to operate, as distinct from both Reductionist Science and Woo-woo Mysticism. Your catching people watching you are easily explained by peripheral vision, a sensitivity we have evolved to notice predators and rivals plotting an attack and looking at us (a real, not psionic effect, up there with others discussed by people like M. Mcluhan) and selective memory. It’s about as unscientific as ideas of “Female Intuition”. My kind of intuition is fallible, non-mystical, and easily explained by examining the algorithm; our software is one implementation of it – Brains may use a similar version, just implemented differently. I suggest we recognize that our definitions differ. If we want to continue discussing this then we need to adopt a new neutral term that matches my definition above. And we should likely start a new thread since WordPress is making us look way too skinny. I am not preaching that intuition is all mystical or steeped in “woo-woo holism of crystals”. However, I will freely admit to the fact that I believe there are things about intuition beyond scientific lab results (blame it on my heritage). History is replete with examples where society labeled certain events as pagan, mystic or or heretical just because it could not be explained. Anyway, we can definitely agree to disagree on “Intuition is a technical concept and it is not mystical in any way”. I respect your views and while I am not a novice at AI (have my share of pubs on machine learning & decision making), I am definitely not an expert in the AI field as you are. Also, thanks for the references — definitely will look them up when I get a chance. Even though I have moved away from the academica & technical to the business world, I have always been fascinated by work in abstract concepts like memory, love, emotions, etc. and so from that perspective I know your links will be an interesting read. Venessa, when covering the options for pattern recognition, you list three if the brain encounters something novel for which it has no existing point of reference: Whether it’s something you see, hear, taste, touch, or smell, at the same moment as you are having the current experience, your brain is comparing it to things you already know, and seeing how it fits. If it has a reference point, your brain files it away as a correlation or similarity or tangent; if it’s a novelty, your brain is challenged and will either  construct a new model for understanding and processing this information,  save it for later consideration, or  simply reject and discard the information. I think this overlooks the common experience of applying a handy pattern to even radically new stimuli. Our brains resist chaos and seem to apply a pattern to most any data set, whether the applied pattern is warranted or not, useful or not. Which causes me to ask if the pattern is in the data set or in my interaction with the data set. I think it is in my interaction with, relationship with, the data set. By the way, this application of incorrect patterns to a data set is the basis for most TV situation comedies and all Jane Austen novels. There would be no Pride and Prejudice if Elizabeth Bennet did not persistently apply the wrong pattern to the data set presented by Mr. Darcy, would there? “I think it is in my interaction with, relationship with, the data set.” <– i think the wisdom of the world is in this statement. it's not fully quantifiable (imho), though everyone is trying to do it with Social Network Analysis and so on, but this is essentially the focus of this blog, my work, my thinking. i don't really care about defining it, though. i just want to facilitate it. I think we must be careful to separate pattern recognition from intelligence. The brain sees patterns where there may be none, seeing faces and shapes in random dot patterns for example. Intelligence is what allows us to identify genuine patterns, most of the time. I was tea-boy and junior clerk to a team of Geophysicists which included a PhD and an MA which had between them over 100 years experience in the field. They were trying to map layers beneath the Skaggerat in the North Sea. There is an enormous depression there where the strata has fallen around 2,000 ft between two faults. The data there was very poor because the strata were chewed up by the fault. A “couldn’t happen” fault in the map led to them drawing a straight line through this massive fault. I had no idea what the chewed up data showed at all, but I discovered the map error. The same data seen from a different angle was easily identifiable. Knowing what was there I looked at the same 20ft long section from 6 inches above the table and could now see, clear as day, the same thing, the fault and the diffraction patterns in all their glory. Knowing what you are looking for and the ability to look at the same data in different ways are essential components of pattern recognition. Thinking you know what you are looking at can be a big mistake. Millikan invented the beautiful oil drop experiment to measure the ratio of charge to mass of an electron. For some reason, probably mental prejudice, he discarded a very few readings that did not fit. Its was an arduous task, he probably thought them human error. In doing so he, and science, missed the opportunity to discover there were particles with charges that were a fraction of those of an electron. To quote a science fiction writer “Its what you know that isn’t so that kills you”. Pattern recogntion requires a wellroundedness that shows the intelligence of making informed insights as well as discovering ideas through inspired imaginations of builders and creators who are looking at this data in different ways. Definitely, Spiro! My anticipation of the rest of this series hinges on your point. Venessa suggests, and I completely agree, that we will find all of these skills relying on each other; a vast complex of interelationships. Deleuze and Guattari’s rhizome feels perfectly at home here, to me. A three-dimensional mindmap may help make sense for visualizing the results of these discussions. It sounds like we’ll be regularly referencing comments from earlier pieces as this progresses, and probably even coming back and linking forward. i don’t see reductionism as the only way to understanding something, separating and chopping things to bits. in my mind this post and the rest of the series looks more like a geodesic sphere, with all perspectives connected and interwoven, both dependent upon and a part of the whole. While you do mention this, I can’t help but drop my two cents into the tin about pattern recognition (a subject near and dear to me). As much as we need to be aware of those patterns that are running wild in the world, we need to be equally (if not more) acutely aware of the patterns we create where no such pattern exists. Human beings have a narrative problem. We have a strong tendency to take information and use it to develop narratives, especially when those narratives help support some bias or another that we may hold dear. The same system that lets us run away from Lions when they hop out at us from behind our local Starbucks, makes us ignore overwhelming evidence that our political, social or economic beliefs might be wrong until we are hit by one of the aforementioned black swans. We have a hard time accepting that the stories we are told or that we have created for ourselves could be wrong. We get stuck in our patterns. I think a huge aspect of modern intelligence in a ecosystem where information is extraordinarily available and our ability to filter it and form accurate patterns is still far too close to the level of our rock crushing ancestors, is the willingness to recognize when you are processing a set of information that you do not have the tools to properly transform into knowledge, the strength of character to be uncertain and the curiosity of mind to accept multiple interpretations which may be completely contrary to whatever the most “reasonable” pattern tells you. I think as our environments become more information rich, this ability becomes more critical. Fantastic piece by the way. hi steve! *waves* thanks for stopping by, i love new visitors. I have written an extensive response on my blog. But I think encouraging reading, and reading “great books” is a great way to encourage and improve this kind of thinking. great post! i really liked your interpretation, and agree that it’s all about the Grand Narrative, and all our individual and group narratives within in. yesterday’s mythologies are today’s science and we’ll see what they become tomorrow. and books are our collective memories and histories. i love reading philosophy and fantasy and sci-fi and spiritual texts, they all challenge and expand my thinking. Just for the record, I believe Jeff Hawkins (founder of Palm, and head of a neuroscience institute studying how the cortex maps information into a view of the world) first coined the “Intelligence is Prediction” phrase in ‘On Intelligence’ (http://www.amazon.com/dp/0805078533/?tag=yahhyd-20&hvadid=55892819011&ref=pd_sl_676f7o7dkj_e) Great book, BTW. And I agree, Intelligence is prediction, or the ability to constantly learn to improve prediction. Prediction acceleration? Yes, just for the record, I wrote “Intelligence is for Prediction” (slightly different wording than Hawkins’) in the chapter “On the Origin of Intelligence” (at http://www.artificial-intuition.com/prediction.html ) two years ago and I did include a reference (in the margin) to Hawkins’ excellent video. Hawkins seems to (since then) have changed his mind about whether lower animals also do prediction and now claims (as do I) that they do. What’s unclear to me is to what extent Numenta’s HTM actually provides prediction. I don’t want to look too closely at HTM since we’re competitors. But as I state in the running text on the page, I got the idea (and I’m guessing that Hawkins did also) from one of my favorite authors, William Calvin, who has discussed this in at least three books, starting with The Throwing Madonna (1991). Of course, I really should refine my position to “Intuition is for Prediction”. But that’s another story. I actually wasn’t aware that Hawkins or anyone else, thought lower organisms don’t do prediction. As a biologist-turned-technologist/suit, I don’t see any system that persists, down to bacteria in a gradient or even systems of replicating enzymes, as doing something that doesn’t include some form of prediction. Any systems that persist, in my book, are doing some sort of prediction about future conditions, otherwise, in a changing environment (aren’t they all? ), they would likely cease to exist. At some point, I see that you do get down to where it’s not so much predictions as luck, but that’s where it all starts. Luck (probability)->selection->recombination->persistence->repeat. Even “dumb” luck (a randomly mixed repertoire of responses) can act as a powerful selection mechanism which can ultimately lead to future “predictions” (selecting from a set of internal states in response to some stimulus that more often than not is indicative of future conditions). At the lowest level then, intelligence, perhaps, is a matter of getting better at selecting those internal states to respond to likely future conditions. Perhaps simpler: intelligence is a form of ongoing natural selection of network organization leading to improving preparedness for future conditions, but that doesn’t sound like something new (or very catchy). I just see different types of natural selection as the reason for just about anything and everything, including what we call intelligence. This post and the comments are amazing, I’ve got lots of excerpts to post on my tumblr blog…and I’ll probably make another comment here. But for now I’d like to share something by Deepak Chopra that I snipped in one of my old tumblr posts. It said that savant children don’t perform tasks from their own accord, they instead respond when asked, similar to a computer. It seems that children with this type of condition, don’t carve out a life, they don’t make choices, all they do is process information and then incredibly recall it when needed, almost like a computer. I wonder what would happen if I didn’t make any choices in life and passively absorbed the perpetual information that bombards me daily…I think I would have a break down, and perhaps this is why people with this condition seem numbed or indifferent to the world. Kind of like following the Twitter public timeline, rather than having your own network. Another passage in Chopra’s book reminds me of Michael Talbot’s, “The Holographic Universe”. I remember a bit where someone saw a certain symbol in a street sign or someone’s t-shirt…can’t remember now, but when they had a second look it was a different symbol. Talbot said that infact the first symbol was just as real as the the actual symbol. You actually saw that first symbol, as your brain pattern matched and displayed something similar you have seen in the past which kind of distorted the reality. But, he says a great deal did happen. “The sight of this woman entered my brain as raw data along the optic nerve, but I couldn’t actually “see” her until that data passed through my worldview. Imagine a series of filters marked “memory”, “beliefs”, “associations”, and “judgements”. Each filter alters the raw data in some way, invisibly instantaneously. …but are something we have to deal with…that’s why it’s important to have inter-disciplinary friends. Amazing and very interesting blog post and comments below. Doing my research I find several books about Pattern recognition in field of Techniques, Segmentation, Technology and Applications. A wealth of advanced pattern recognition algorithms are emerging from the inter discipline between technologies of effective visual features and the human-brain cognition process. The present books are intended to collect representative researches around the globe focusing on low-level vision, filter design, features and image descriptors, data mining and analysis, and biologically inspired algorithms. Research in computer vision has exponentially increased in the last two decades due to the availability of cheap cameras and fast processors. Books are free to download. Why do this great article jogs my memory of one other same person that I just read some other place? Hello all! I like this forum, i organize tons compelling people on this forum.!!! Nice post. I was watching continuously this blog and I’m impressed! Extremely useful info especially the last part I care for such info much. I was looking for this particular information for a long time. Thankyou and best of luck. Pingback: Learning from Improv « Spark Your Interest! If we all recognize the patters the same way, would it be more efficient for a collective intelligence to rather be from a very diverse backgrounds. Because having the same pattern recognition ‘system’ and growing, living in the pretty much in the same conditions – collective intelligence will not find a breakthrough solution, but simply a quicker solution. Another predictable pattern. Just a thought.